I remember being a fussy child. Always cranky about food. But one thing I loved eating was the Jawasachi chutney/flaxseed chutney. Most of my childhood was spent with my grandmother. She would make Jawasachi chutney that had my heart. It has the right amount of heat and there is also a slight crunch because of the Flaxseeds. Jawas is known as flaxseed in English and aalsi in Hindi. Jawas (flaxseed) are basically seeds that are also popularly known as linseed. These seeds are rich in fiber and omega 3 fatty acid. It is widely used as low carb substitute to pine nuts and peanuts. So for all those watching their cholesterol levels, this chutney serves best because it does not have any peanuts or nuts. Though the dry coconut may increase the cholesterol level, but the amount eaten in control works best! What can I pair it with? Jawasachi chutney is a traditional Maharashtrian chutney that is dry and made with flaxseeds and dry coconut. This chutney tastes best with rotis or as an accompaniment to rice. You can also mix it in yogurt or oil to make it paste-y. Jawasachi chutney/ Flaxseed chutney is traditional Maharashtrian recipe that is rich in fibre and is low carb. This chutney is powdered chutney and works well with rice and roti. Dry roast the flaxseeds/jawas in a pan on a medium flame. Roast for 5 mins and transfer the seeds to a plate. In the same pan, add grated dry coconut and roast them for 2 mins. Once they turn slightly brown, transfer the coconut to the plate. 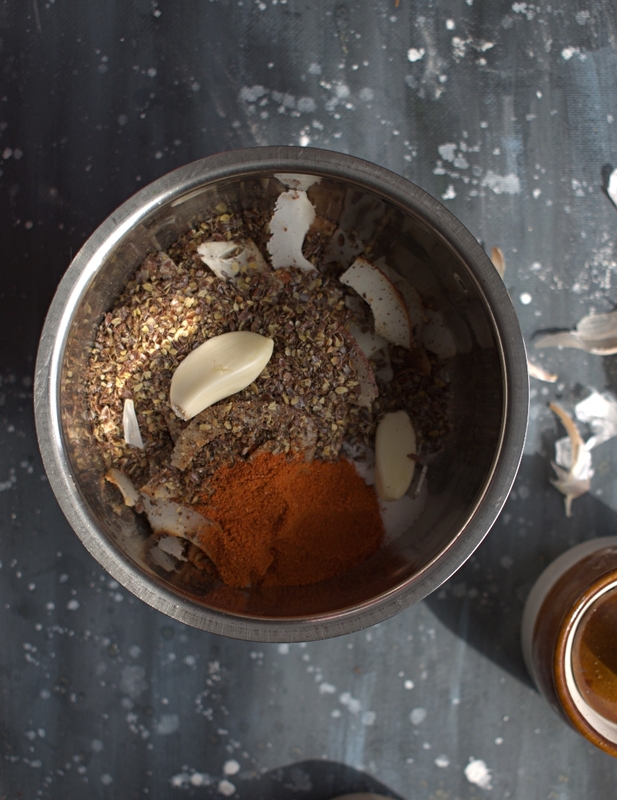 Once the ingredients cool, add flaxseeds,coconut, garlic cloves, chili powder and salt. 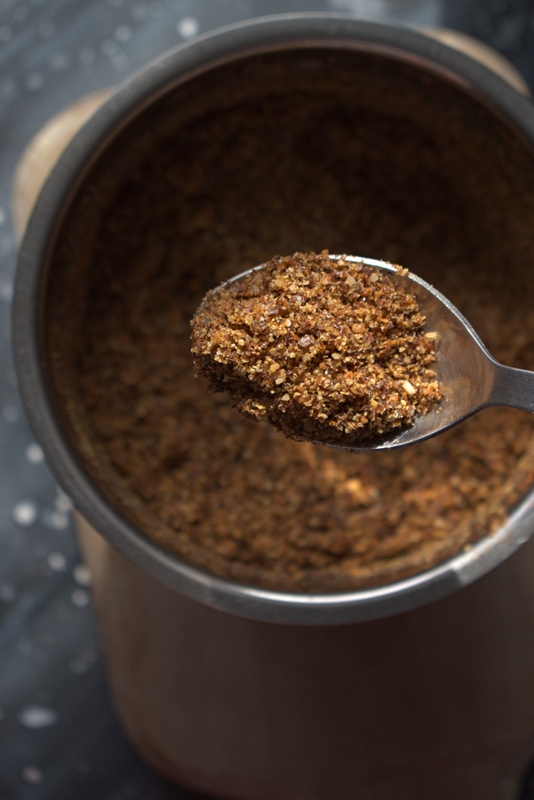 Grind the mixture until a coarse powder. 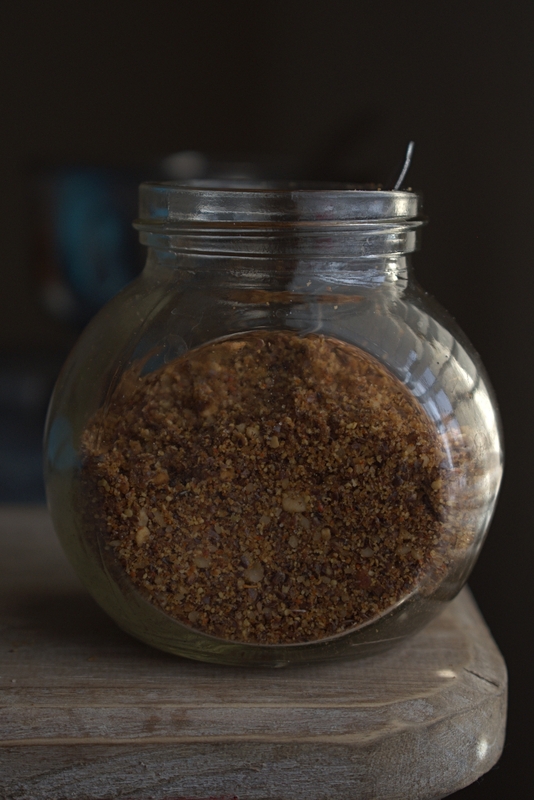 Transfer this chutney to an airtight container and store at room temperature. 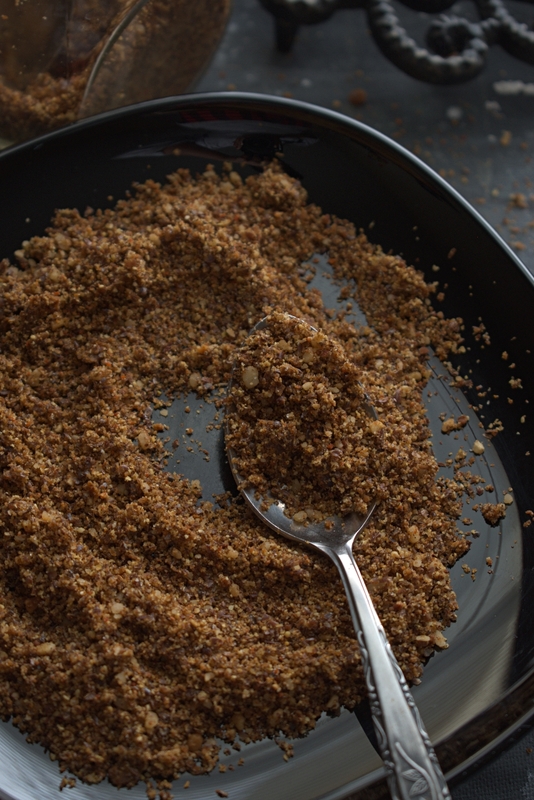 *You can also add roasted peanuts to the mixture while grinding. *You can add yogurt or olive oil/normal oil to the chutney to make it slighlty runny. This is one easy recipe that has all the goodness and the taste you would love instantly.